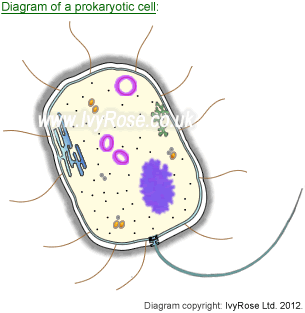 There are three main divisions of living organisms: Prokaryotes, eukaryotes and archaea. This essay will outline the division between the prokaryotic and eukaryotic organisms and explore the reasoning behind such differences with regard to general structure, storage of deoxyribonucleic acid (DNA) and its replication, metabolic processes, protein synthesis and ribonucleic acid (RNA) processing. This arises from the fact that the majority of eukaryotic cells occupy a function within a collaborative tissue or organ (or system), while prokaryotes, and even bacteria that form a multicellular environment, or biofilm, are themselves unicellular and therefore undifferentiated.